Following are twelve imperative queries you need to ask before you hire a fiction ghostwriter. Question 1: What do you know about Fiction Writing? Every professional writer or a ghostwriter must have the knowledge about the fiction ghostwriting especially when they are professional fiction ghostwriters. They must know that Fiction writing is far away from the truths and reality. Question 2: Can you tell the main difference between Fiction and Non-Fiction Ghostwriting? 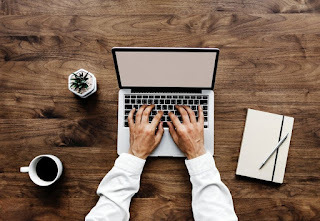 Every professional ghostwriter is aware of the fact that the most significant difference between the fiction and non-fiction ghostwriting is that in non-fiction writing a lot of research work is required since it comprised of all the truths and facts. Given that fiction writing has nothing to do with the reality no such research is required only the imaginative brain is the main requirement. Question 3: How long have you been providing Fiction Ghostwriting services? It is necessary that you should know before you have the ghostwriters for hire whether they are experienced or not as there are many reasons to it. The quality of work an experienced person will provide is hard to attain from a beginner, and there is a high chance that they will maintain the client’s confidentiality better than a rookie. Question 4: Have you ever worked before with a Professional Ghostwriting Agency? Asking about their industrial experience might not matter, but it is apparently a plus point to their resume if they have an experience of working with the professionals. Question 5: Do you have a Sample Contract I can see? Before hiring the ghostwriter, you are interviewing it is important that you should have a look at their sample contract, and give a thorough read to every clause just to make sure that every legal aspect has been covered. Question 6: Do you have any sample work you are allowed to show? It is understood that the ghostwriters are most of the time not allowed to share their work details, it is hard for them to maintain a proper portfolio, but there are also some people who enable the ghostwriters to share a particular portion of work as their sample work. Nonetheless, professional ghostwriters also happen to do some side works in order to keep the sample of the work to show new clients. Question 7: Can you work on every Fiction genre? Some fiction ghostwriters have the talent to write on many genres, whereas some fiction ghostwriters join hands with other ghostwriters and they all work as a team to bring the project to a proper closing. Question 8: How many people will be working on my project? If the ghostwriter says that they are capable of writing every genre, and they prefer to work alone on every individual project then no need to ask this question. But, if the ghostwriter says that they take help from other ghostwriters if the genre client wants is not the one they are majored in, then you should know that how many people will be writing your book and make sure there weren’t too many. Question 9: What services are included in the Package? Some ghostwriters only charge the clients for the writing services, whereas there are some ghostwriters who offer a very smart package for the clients that includes the writing, revisions, and editing services in it. Ask the ghostwriter you are interviewing whether they offer any such package or not. Question 10: What will be the deliverables? Some ghostwriters only provide the word document whereas some ghostwriters provide the PDF format file as well to their clients, and all of the charges are included in the package. Question 11: How much do you charge for the Ghostwriting Services? Depending on the quantity of work and experience of the ghostwriter their fees vary, but it is important that you should ask an estimated amount for having the services before you hire them to avoid any future trouble. Question 12: How do you like to get paid? Some ghostwriters preferred to get paid in advance whereas some agree on getting paid after they deliver the project. But, there are some ghostwriters who asked the clients to pay some portion of the amount in advance and collect the remaining fees after they deliver the project to the clients.